Undaunted by the fact that the drawings didn’t look so good, I soldiered on, scrawling out more and more pages like one lone monkey in the room full of an infinite number of monkeys, and I was the one who didn’t get a typewriter. I opened up iBooks Author, added the pages, added the text, and voilà! 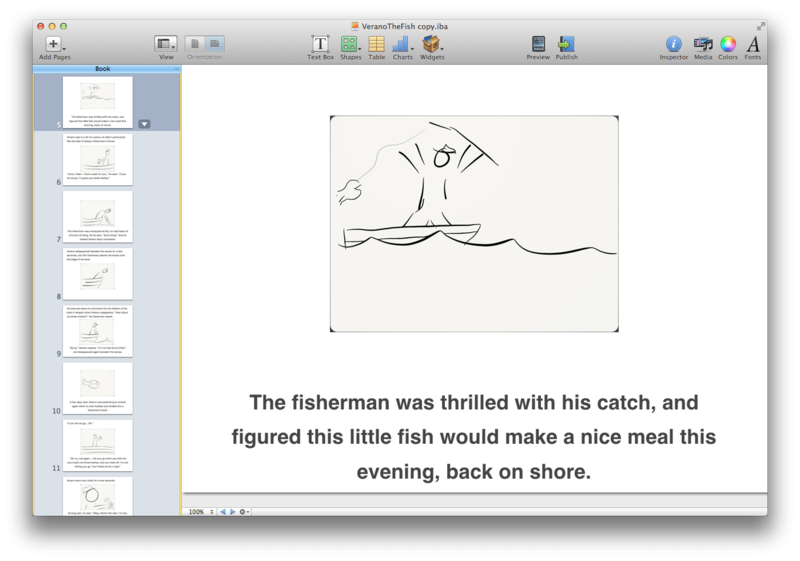 I had a pretty ugly version of the story which you could read on your iPad. I showed the children and my wife. I would like to say I had a grand strategy, that I intended to kick start in their little hearts the passion to make something more presentable than their dad’s attempt. That I “threw the game,” as you might say. That the horror they felt at the sight of their beloved story was carefully calculated. In fact, I just might say all of those things, to make myself feel better. 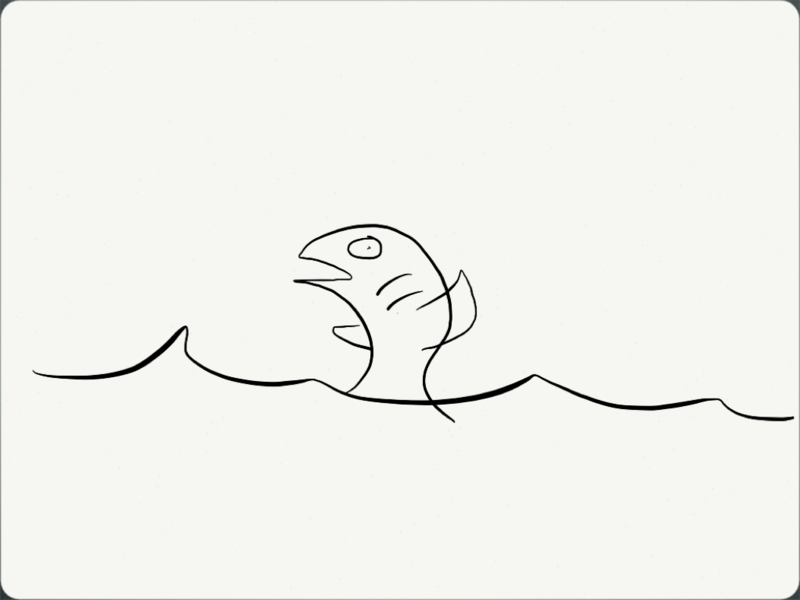 Well, with a start, they roared to life, grabbing the iPad, flipping over to Paper and working through a few of their own fish. That weekend we took a trip to the California Academy of Science in San Francisco to sketch fish. 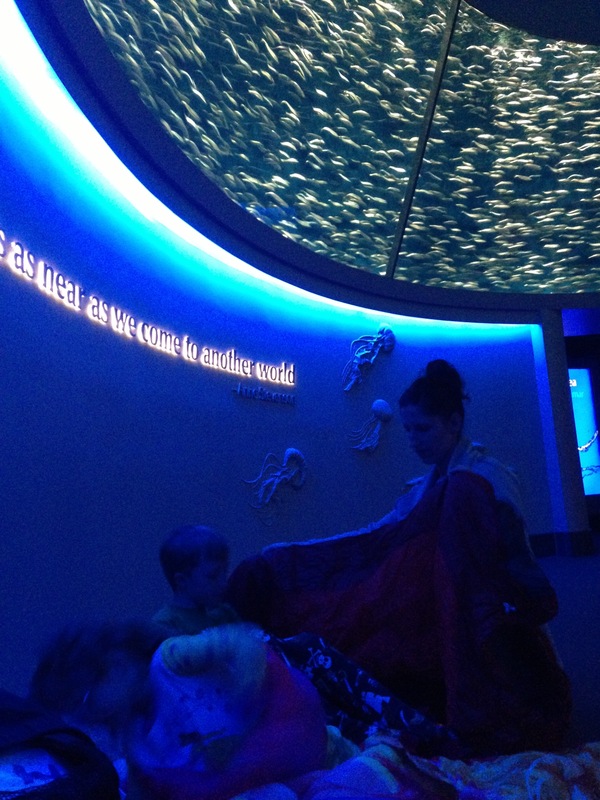 We spent the night at the Monterey Bay Aquarium, sleeping under the sardines in the Open Sea wing. It was after the night at the aquarium that we had one blessed, focused day, where the kids sketched the artwork for the book. We mailed the pictures to ourselves, and then I began Pixelmating them (a cheaper version of Photoshopping) on the Mac.